Our management and staff have fostered and enjoyed a mutually beneficial relationship with may of our local architects since our founding. We continue to encourage consultations with the local design community by providing honest information regarding current developments in foundation construction products and technologies. With our wide range of “tools in the toolbox” we avoid the “one size fits all” approach to foundation construction. Our field staff continues to work with the local engineering community to avoid constructability issues during the design process. Frequently, just a little “tweaking” can result in significant savings of time and money for the project owner. Additionally, our network of local and national manufacturing and equipment consultants provides us with a brain trust to discover state-of-the-art solutions to difficult construction issues. Agencies at the various levels of government have differing requirements. We have worked on municipal, county, state and federal projects, and recognize that their perspectives and priorities differ. Whether a county agency needs to find a solution to a difficult waterproofing problem, or a federal designer needs to consult regarding a Design/Build foundation project, we have the knowledge and experience to get it done! Many of the scaffolds hanging down the sides of Honolulu’s high-rises represent our skilled craftsmen hard at work remediating corrosion-induced deterioration. Over the years, our crews have earned the reputation of being the “Best in the Business!” But even beyond the first-class appearance (on the “outside”) of our repairs, on the “inside” is hidden the true value of our repair services. 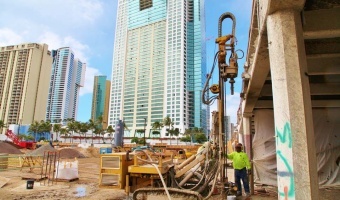 We were the first Hawaii concrete remediation contractor to introduce corrosion mitigation measures in our work. Many of these earlier projects with galvanic anodes or similar systems are still performing well into their second decade! 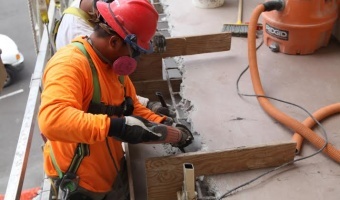 Structural Systems employs a value-engineering approach to our concrete restoration, spall repair, post-tension cable repair, foundation underpinning and re-leveling, new construction, renovation or expansion of residential or commercial facilities, and specialty waterproofing projects. Professional property managers continue to rely on our experienced crews and staff to provide proven and reliable solutions to their Repair & Maintenance or construction project requirements. We can help you eliminate the “chip-and-patch” cycle typical that plagues our concrete structures in Hawaii due to substandard spalling repairs. Our crews underpin, relevel and restore townhomes, low-rise structures or any settling/sinking structure, 365 days a year. And we regularly work with professional property managers to provide for their foundation construction requirements for their projects. We can take care of all engineering and permitting requirements for all of our projects, taking a confusing and tedious process off of the plate of the property managers and owners.